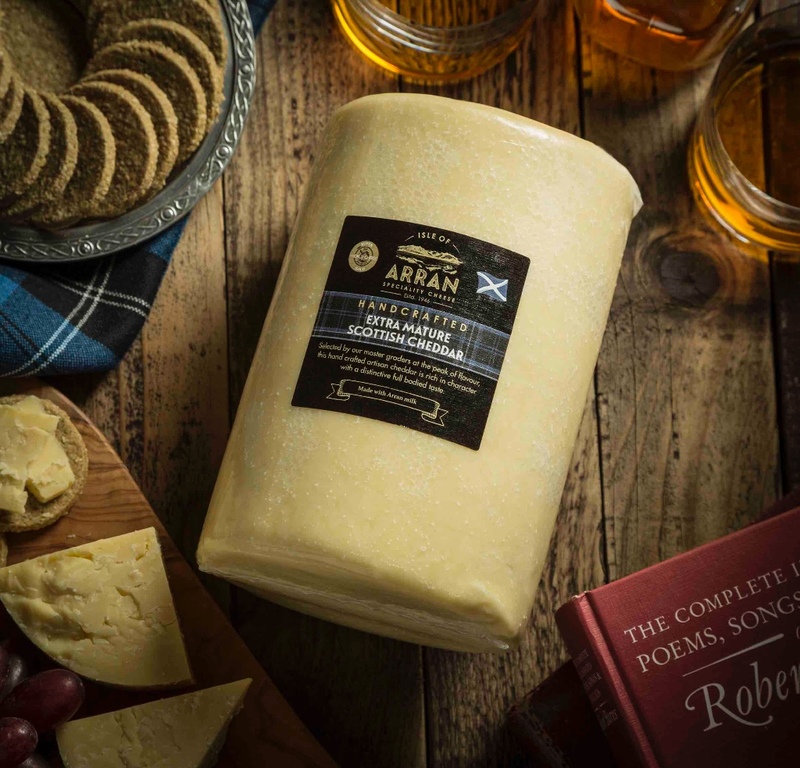 Steeped in history and provenance, the Torrylinn Creamery was opened by King George VI in 1946, giving this cheddar the Royal seal of approval. 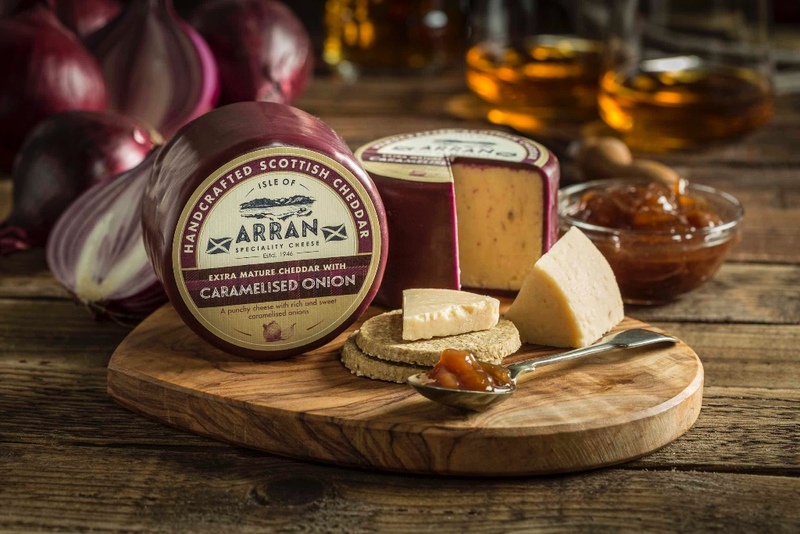 The cheese is made by hand by five dedicated staff in open vats, using a time-honoured recipe, which gives each batch its own distinct flavour and personality. 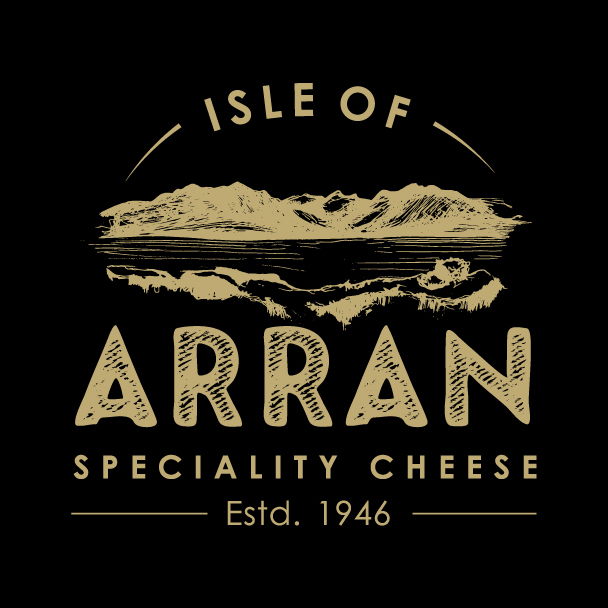 Often referred to as ‘Scotland in miniature’ the picturesque island of Arran is home to the award-winning Torrylinn Creamery. 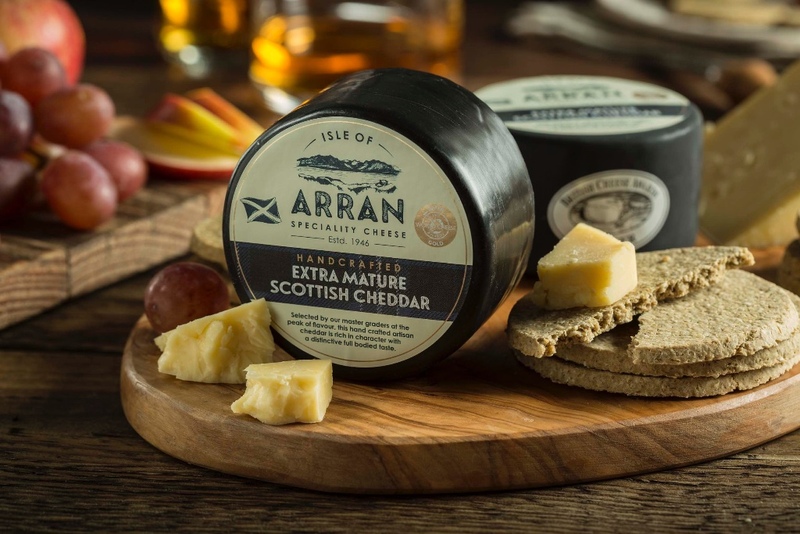 Here, Isle of Arran cheddar is lovingly hand-crafted by a small team of artisan cheese-makers using traditional methods passed down from generation to generation. 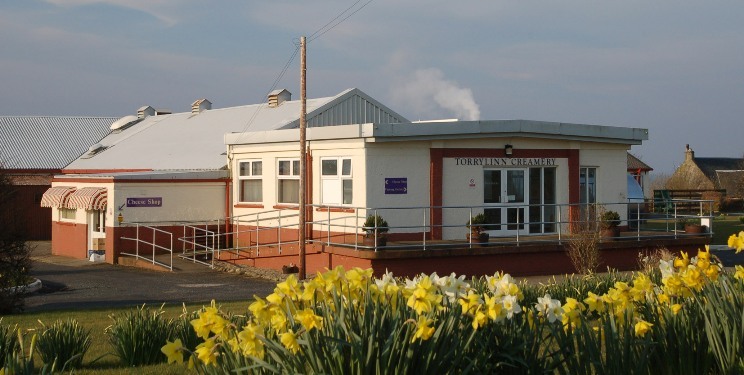 Nestled at the foot of Butter hill the Torrylinn Creamery in Kilmory at the south end of the Island makes Real Arran Cheese using local milk from 3 dairy farms. 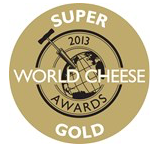 The cheddar is rich in character with a distinctive, full-bodied taste and creamy texture. Its savoury taste has a hint of sweetness complemented by nutty notes, enhancing the complexity and making it very moreish indeed. 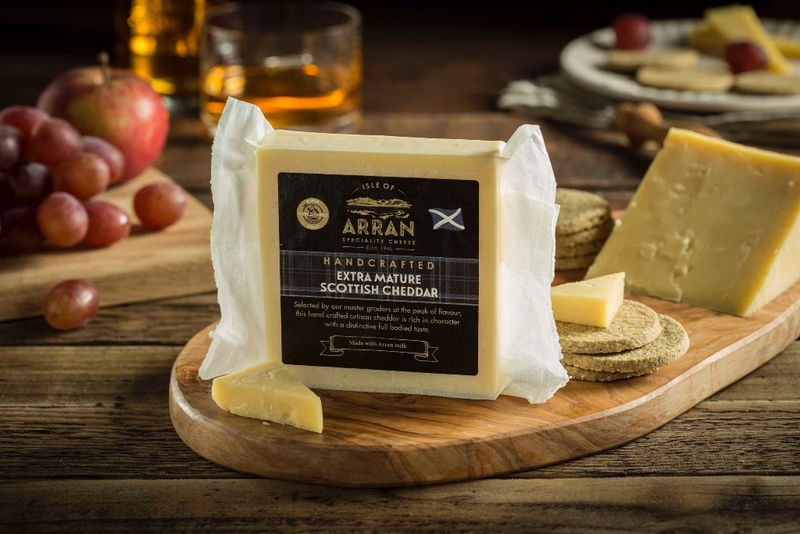 Set in the idyllic village of Kilmory, you can visit the Torrylinn Creamery and watch Isle of Arran cheddar being made by skilled cheese-makers. Then visit the creamery shop and try a wee taste of this delicious cheddar for yourself.